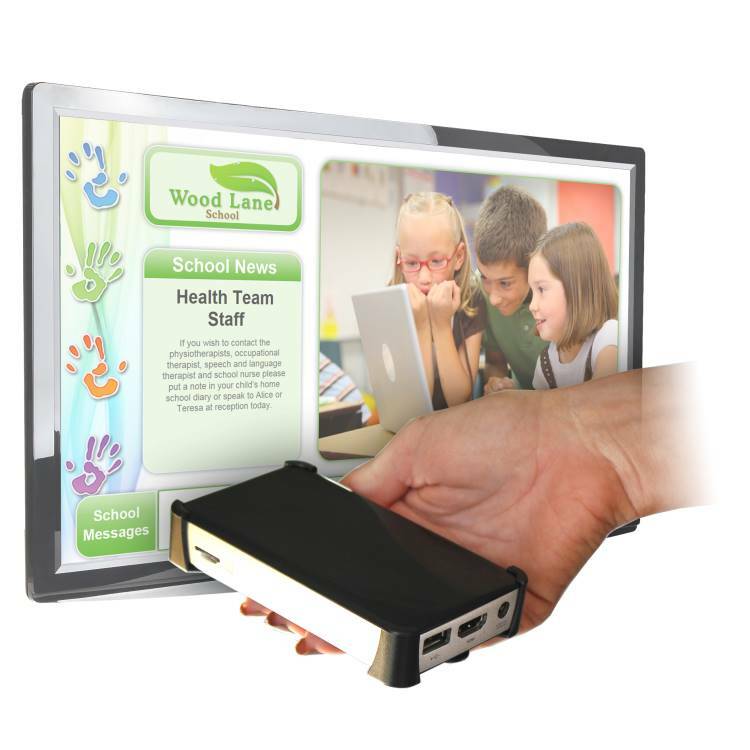 This tiny player packs a massive punch for single screen primary school applications or digital notice boards. Simply connect to the school network using the Ethernet port or built-in Wi-Fi and attach to you free SedaoLive account. Select from dozens of signage channels all containing the school logo, colour scheme and photos. Choose from channels containing combinations of text, photo zones, movies, PowerPoint, clocks, news feeds and more. Edit text and upload new media in seconds via the internet, using any web browser from any PC on your school network.